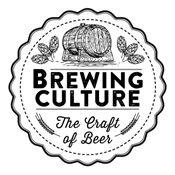 If your from Bend or will be visiting Bend, make sure to check out a new exhibit at the High Desert Museum called Brewing Culture: The Craft of Beer. The exhibit opens January 17th and runs through Memorial Day weekend. See info below. New exhibit captures the history, culture, art and science of beer making. Bend, OR — Oregonians love their stouts, ales and IPAs, and no Oregon town has more brewpubs per capita than Bend. So it’s only natural that the High Desert Museum would create an exhibit about the craft of beer-making. Brewing Culture: The Craft of Beer opens January 17th and will be on display through Memorial Day weekend. Special brewing events, tastings, and beer-themed programs will be presented at the Museum throughout the 19-week run, starting with a big kick-off party on January 16th at 6:30 p.m. The exhibit, conceived and designed by the High Desert Museum staff, will present the history of brewing, the ingredients used in craft beers, the process of brewing and the culture of the craft brewing industry. Curator Faith Powell has connected with craft brewers, hops farmers, writers, historians and home brewers while preparing the exhibit. The High Desert Museum is nationally acclaimed for inspiring stewardship of the natural and cultural resources of the High Desert. It offers wildlife encounters, living history performances, Native American and Western art, music, nature trails, tours and classes. It is located 10 minutes from downtown Bend on South Highway 97.